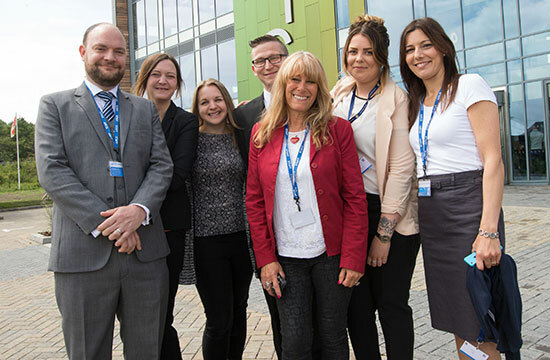 Estate, Development and Block Management Company, Rounce and Evans Property Management are proud new tenants of the King’s Lynn Innovation Centre (KLIC) and are already enjoying the benefits of being part of the KLIC community. Operating in Norfolk, Rounce and Evans have four offices, with KLIC being their latest acquisition, and business is going well for Luke Loades and his team of ten. Luke tells us how being based at the King’s Lynn Innovation Centre has given business a boost. How did you start in business? Thirteen years ago I was offered the opportunity to buy the business and I have never looked back. I remember how I felt when I gained my very first client – I was over the moon! I thought I had made it. The gentleman is still a client to this day. I love every minute of being my own boss. Despite long hours and the occasional sleepless night, it gives me much more freedom compared to being employed by someone. Why did you decide to open an office at the King’s Lynn Innovation Centre? The building reflects our own professional, modern branding and because the rent was very attractive for all the facilities included. The professional appearance of the building together with the meeting rooms has helped build confidence in new clients. As we are not always in the office, having an on-site reception team to assist with phone calls and messages is also a huge benefit to us. What are the benefits of being based at KLIC? Being at KLIC has helped us grow in the short time we have been here. We can concentrate on the day to day running of the business and while Nwes supports us in the background. The networking breakfasts are nice also! Do you have any words of advice for those who are new to business? Be confident! Be prepared to make mistakes and learn from them. Take advice where it is given. Even businesses with years of experience are still learning.